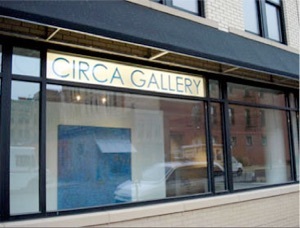 The Circa Gallery in Minneapolis, MN welcomed me to the Circa family of artists in November of 2011. The contemporary space and enthusiastic staff are an integral part of the vibrant warehouse district of Minneapolis. 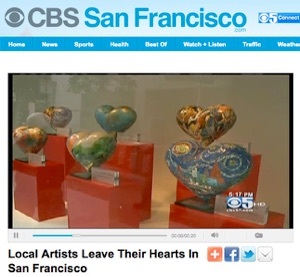 TV cameras from ABC and CBS were on hand to interview and photograph artists and members of the San Francisco General Hospital Foundation, who arrived in force to support their artists. 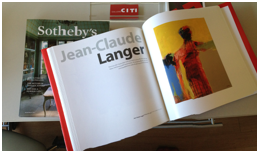 It is a collection of my recent work and includes an essay by DeWitt Cheng, a San Francisco Bay Area art critic. Paintings is available to view and purchase at the link below. I was interviewed by the French Consulat in San Francisco to be included in their series of profiles of French expats in the San Francisco Bay Area. 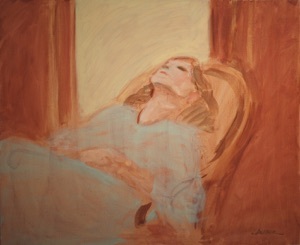 My painting, Reclining, will be up for auction at this prestigious event. 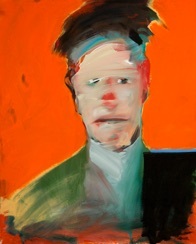 HEADS is an art exhibit intended to be a slightly overwhelming survey of the interpretation and revision of portraiture from ten artists on Gallerie Citi’s roster, plus two guest artists. It features diverse media—photography, drawing, sculpture, assemblage, and painting—and through the artists’ interpretation of the main figure it explores myriad variations possible within the construct of identity. 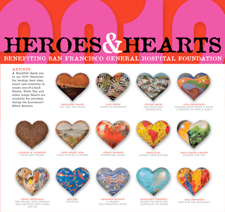 I was selected by the San Francisco General Hospital Foundation as one of the artists to participate in the 2012 Heroes & Hearts fundraising project. 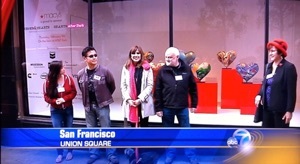 The event is set for Thursday February 9th, 2012 and the Who's Who of San Francisco will be present. The fourteen hearts will be auctionned off to support the foundation, and I am honored to be a part of it. Since its founding in 1994, the San Francisco General Hospital Foundation has raised over $50 million, helping to directly impact nearly 100,000 patients each year. This is my heart on the auction block! 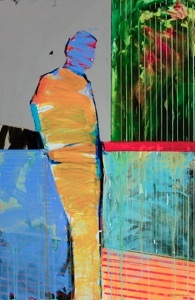 I have been awarded an Artist Residency at the Vermont Studio Center in Johnson, VT for the full month of March 2013. 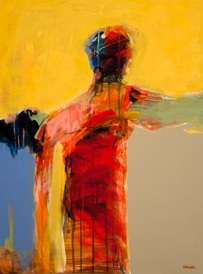 ... Jean-Claude Langer's figurative acrylic paintings on paper possess a force of dazzling spontaneity, while also considering ever-present tensions intrinsic to the human experience. 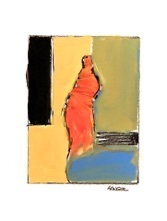 The work reflects human dignity and the beauty of daily life. Dart for Art is a creative cocktail event in a Festive Art Gallery Setting. 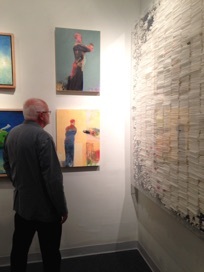 Guests are randomly assigned numbers upon entry and will stroll amongst the artwork mingling with the artists while enjoying cocktails. As the numbers are randomly announced guests will be invited to “Dart” for their favorite piece of Art. 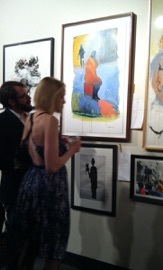 Juried show. 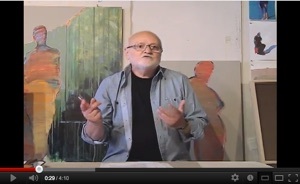 Dewitt Cheng, juror.